With the popularity of online jobs, many full-time workers in the workforce sometimes get the bug to start a business or work as a virtual freelancer. The complaints that workforce employees have are valid. The commute time gets long, work hours are endless, and the pay isn’t what many would expect. Freelancing isn’t always ideal, but many people are flocking to this type of work due to its multi-faceted exposure and high earning potential. Just check out some of the many benefits that freelancing has to offer. We also discuss how to use freelancing to make money on the web during our free webinar training! Entrepreneur has the right idea by arguing that a few benefits of freelancing include the freedom to choose clients, projects, and also work wherever they want! Sounds great, right? Of course, freelancing also requires a lot of discipline, but having the ability to work wherever you want is definitely a nice benefit! One of the biggest advantages of working independently as a freelancer is gaining the freedom of choice and steering forward without any restrictions. Freelancing makes it very simple for a person to choose the type of work based on what interests and benefits them best. Freelancing enables faster growth opportunities as compared to any full-time job. It also helps to nurture great interpersonal skills and the ability to deal with different kinds of situations. This is due to the exposure one earns while working simultaneously in a variety of fields and domains and with different people. “While it’s always good to excel in one subject, freelancing exposes you to various kinds of companies and domains. As a result, you learn more in say five years of freelancing than being in one or two jobs in that same period of time”, shares Mukti. She suggests that this happens because each time one deals with a new client directly, they are required to start from scratch and figure the entire unfolding process. Moreover, as a freelancer, one is required to build their own work portfolio to establish their credibility. This ends up making them a sales person, a pre-sales person and also marketing executive. LinkedIn once again reminds us of how awesome it is that you can work wherever you want. Plus, must we state the obvious that YOU are your own boss?! That’s pretty sweet, and if issues come up, you don’t have to go to anyone else (well, except for the person who is paying you). Ultimately you choose who you’d like to work with on projects. It’s pretty great having that kind of freedom. Work Wherever You Want – Whether you prefer consistency or shaking things up when it comes to your work environment, you can choose to work wherever you want, whether you choose to work in a local coffee shop or while you’re on vacation in Europe. You are no longer stuck in an office or even in your home. Find a place in which you work best. You could work in a park, at the library, or in your living room while you’re wearing your pajamas. You’re the Boss – You no longer have to answer to anyone but your clients and yourself. No one is hanging over you or micromanaging you. You are free to do as you please, when you please. Making all the tough decisions just became your responsibility; you have all the control. You Keep All the Profits – No longer do you have to work for a flat rate, no matter how large the projects are taht you complete. Now, you get to allocate or keep all the profits from your large and small projects and clients. This gives you the freedom to then use that money to improve yourself and expand your business. Another benefit of freelancing is the potential to earn more. Of course, that means you must realize your “worth.” Don’t sell yourself short because as Legalzoom mentions, you have the potential to earn more money, and you may also be able to claim more tax-wise. You have more income potential. There’s nothing as disheartening as finding out, as an hourly or salaried employee, that your employer is charging a customer or client ten or twenty times the amount you’re getting paid for a project on which you’re doing all the work. As a freelancer, you’ll be able to charge what your work is worth, and you get to pocket all the profit after your expenses are paid. Your income isn’t capped by your hourly or salaried rate, either. The more effort you put into finding clients and landing new jobs, the more income you have the potential of making. You can take advantage of more tax deductions. As a freelancer, you’ll be able to deduct a lot more expenses, deductions that aren’t available to employees. 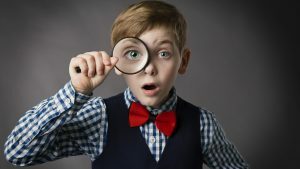 Deductions you can make may include things like the costs associated with your home office, travel expenses, costs related to entertainment and meals, your Internet access, your cellphone package and any other reasonable and legitimate costs which you incur as a result of running your own business. There may also be a number of tax sheltering investments you can take advantage of as a freelancer, so it pays to consult a tax expert and/or financial planner to see how freelancing might affect your taxes. Thinking about becoming a freelance writer? More specifically, if you are or would like to be a freelance writer, here are a few benefits of this type of freelance job according to Freelance Writing. You can determine the style of your articles. You decide on the depth of your articles and the amount of information they will contain. You can even select the media where you want your work published. If you currently work in the office and you’re seriously thinking about freelancing, then you’ll be excited to learn that The Next Web says that freelancers make more than employees! This is good news if you’re nervous about leaping into the freelance world. Freelancers tend to earn more than employees. 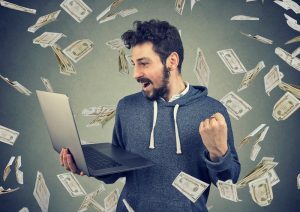 Many people think of freelancing as being a good way to “make a few bucks on the side.” However, according to this freelancer survey, 78 percent of freelancers say that within a year they earned more than they did in a traditional job. Writers on average get $58 to $82 per blog post written. Programmers on average get $63 to $180 per hour range. Most report that it’s more than they were making 12 months ago. Why is this, exactly? There are several reasons. Without expenses like benefits, employment taxes, and the costs associated with having a physical office space, employers can afford to pay higher rates. This is a benefit to both employers and freelancers: employers get the best worker they can afford, and freelancers get paid what they’re worth. Second, instead of settling for whatever local job is available, workers can access jobs globally; meaning they can take on work where their skills and experience are fully valued (and where they are compensated accordingly). People have an increased commitment to work-life balance. Just a generation ago, you would have been hard-pressed to find a working professional use the term “work life balance.” You expected to put in your 8 hours, do the grueling commute to and from the office, and then enjoy evenings and weekends off with your family. It’s true that there are many benefits to being a freelancer and working virtually. As a new freelancer, you probably have some questions. We can help you navigate the internet waters and help you learn how to make freelancing work for you. Learn how to maximize your earning potential by working online during our free webinar training!